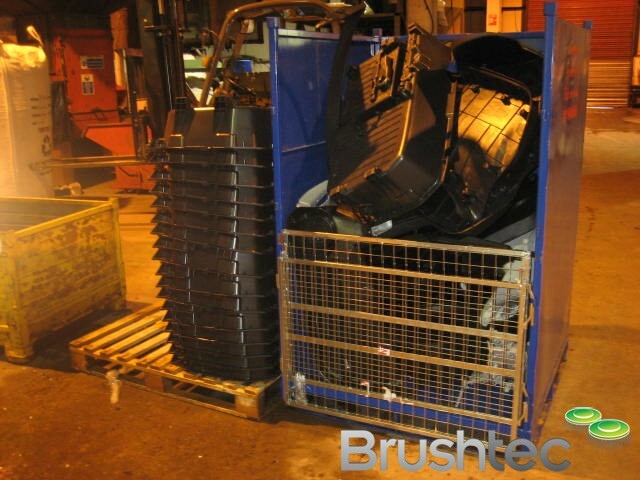 Brushtec is very conscious about its environmental responsibility. 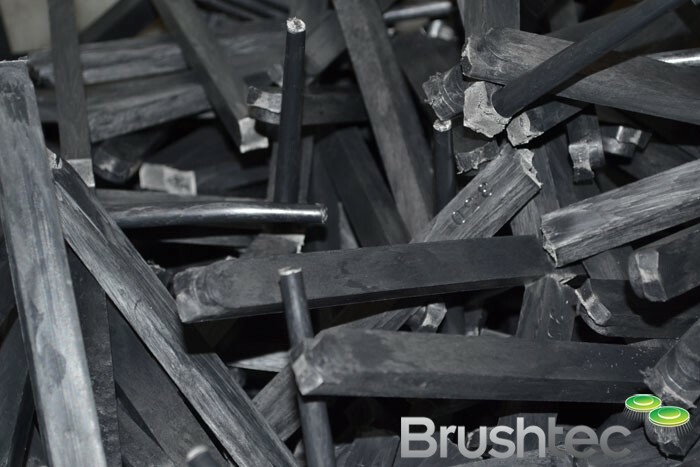 A great deal of time and effort has gone into making our brushes as environmentally friendly as possible. 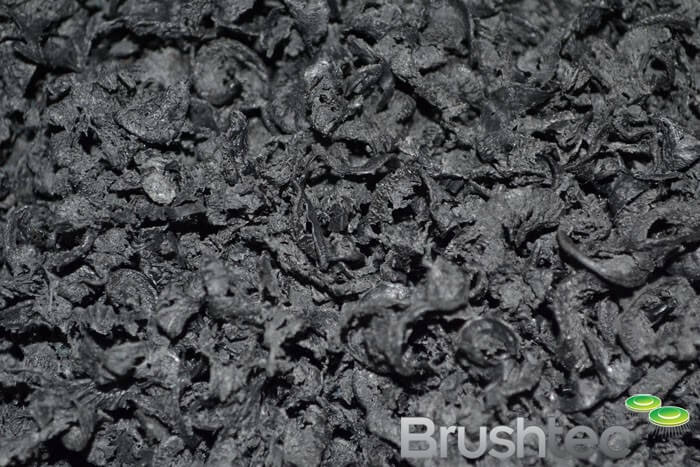 The majority of our customers are unaware of what is involved in the manufacture of their environmentally conscious brushes. 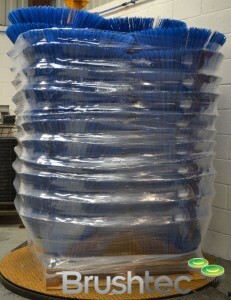 Here is a brief case study of our process. 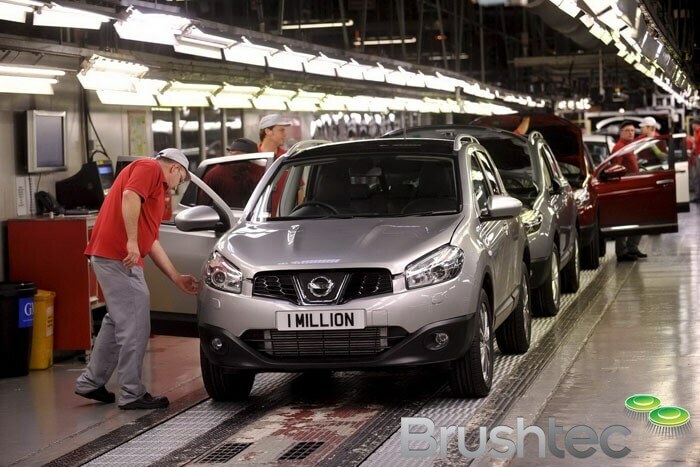 In a local car factory in Sunderland, Brushtec’s mouldings start life as car trims. 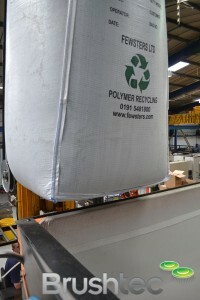 These already contain a percentage of recycled material. 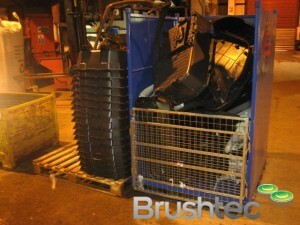 Damaged and rejected dashboards, centre consoles and door trims are stockpiled ready for collection once a week. 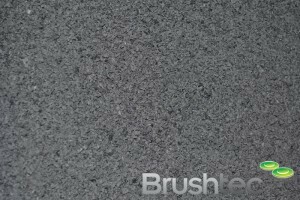 A local company collects the trim, granulates them, adds modifiers to increase the strength and reprocesses them into fine granules. 1 tonne reusable sacks of high impact 100% recycled post consumer polypropylene are delivered to Brushtec. 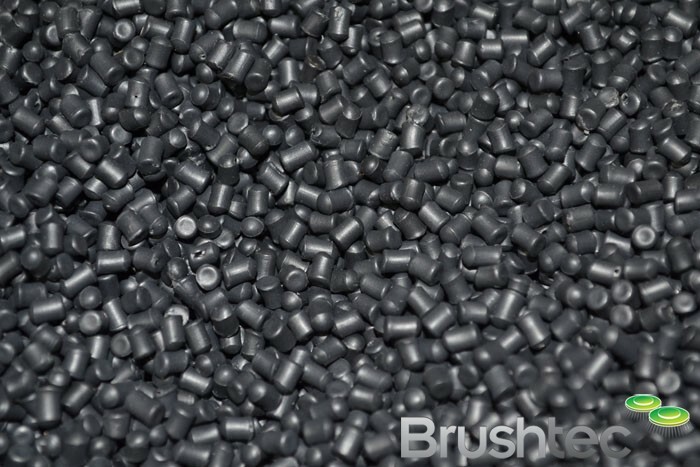 Brushtec processes the polypropylene material using an efficient electric moulding machine, which is 10 times more efficient than a traditional hydraulic moulding machine. 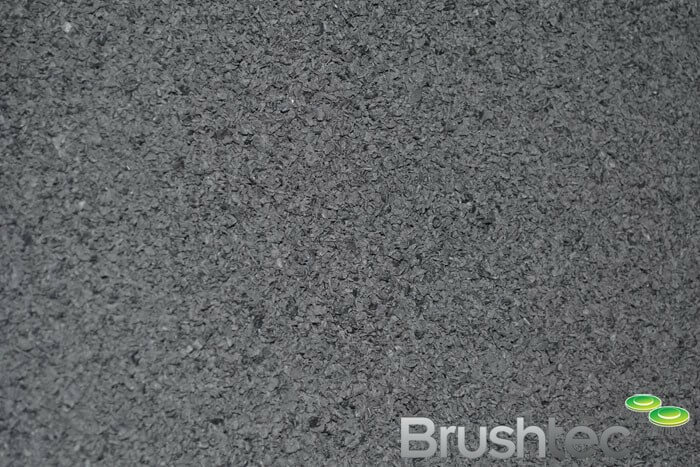 The electric machine uses no hydraulic oil, which is environmentally hazardous and needs to be disposed of professionally. 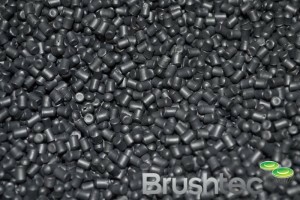 All spurs and waste polypropylene are granulated and reprocessed. 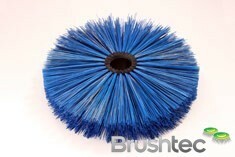 Brushtec uses a range of efficient ‘state of the art’ brush-making machines (see our videos). 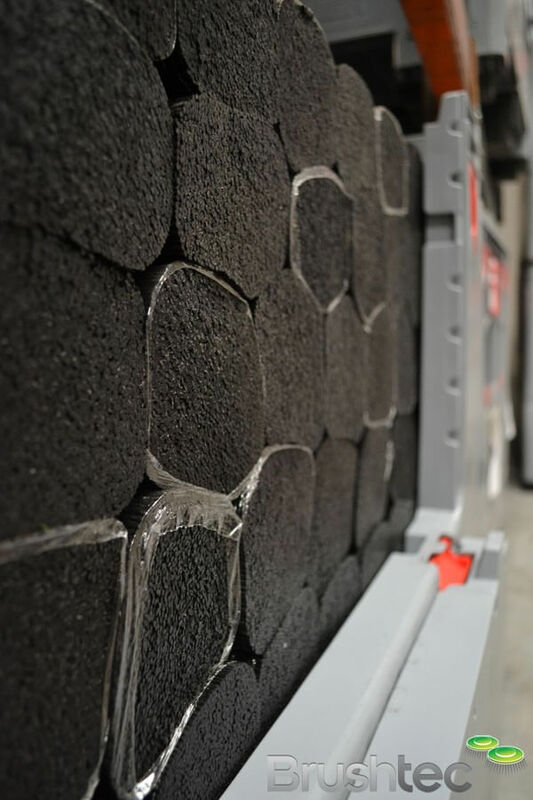 All of the drill swarf created from the manufacturing process is granulated and reprocessed. 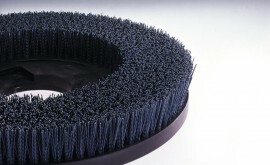 Brushtec uses reusable plastic containers for most of our bristle material. 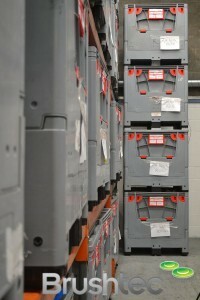 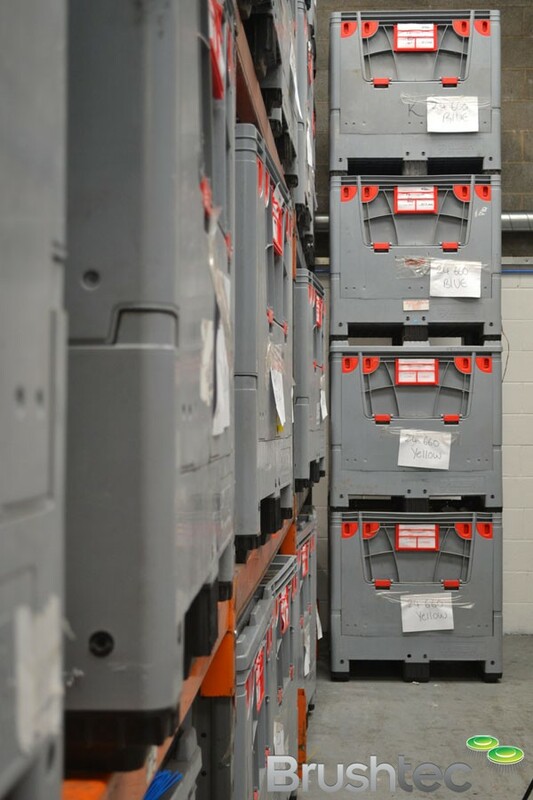 This has saved 12 tonnes of cardboard boxes since introduction back in July 2010. 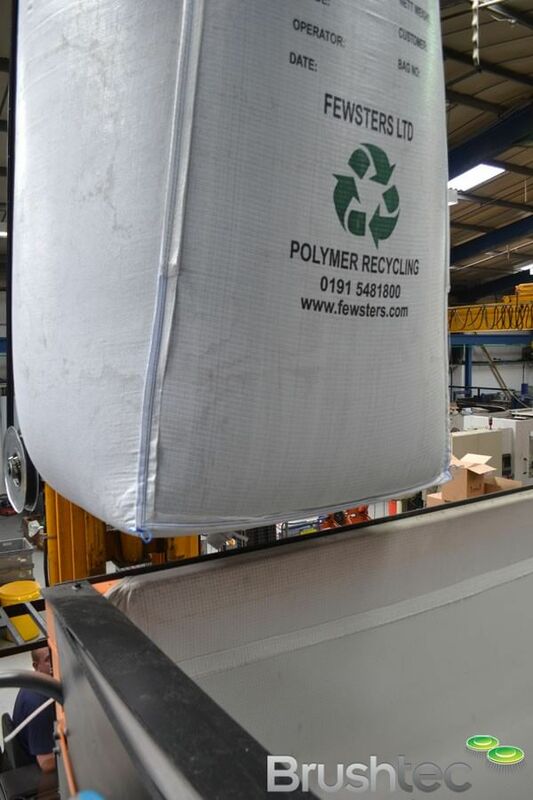 1 tonne of cardboard is equivalent to 17 trees. 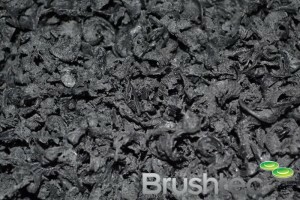 That’s a massive 204 trees in less than 2 years. 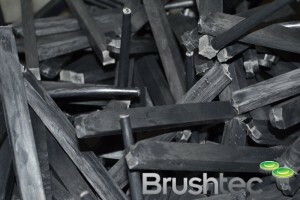 Brushes are shipped on recycled wooden and plastic pallets. This saves 56.5 tonnes of wood per year.